Surveys have long been an effective PR and marketing tool. If done right, they can build great brand awareness while solidifying brand identity. They can help generate discussions and debates that provide your client with a platform for thought leadership. They can bring important but ignored issues that your client addresses to the fore. And they can open the door for more media coverage down the road. So you got 90% of the 1,000 you surveyed to agree oxygen is needed to live. Here’s a newsflash: it isn’t a newsflash. Seek out contrarian or surprising viewpoints—findings that put conventional wisdom on its head. Even if what you find works against your client in some way, it can still create an opportunity for thought leadership. Let’s say you conduct a survey for your client, a maker of pens, but you find most people don’t buy pens as much as they used to thanks to computers and mobile phones. Your client can still seize on that as an opportunity to say pen makers need to be more innovative and here are ways that they can be. Using the oxygen example (last time—I promise), so you’ve made this incredible discovery that 1 out of 10 people don’t believe they need oxygen. Well… who are these people? Why do they believe this? Is it tied to experience or cultural upbringing? Is there actually credible evidence that suggests traditional science has been wrong about oxygen all along? If you find you can’t pinpoint this information via a survey, bring in experts (including your client) or “non-oxies” themselves (I’m calling them non-oxies) who can comment on why things are the way they are. The more complete the story, the easier it will be for reporters to tell it, too. Perhaps the biggest sin PR firms and their clients make with surveys is they formulate them to further their own interests. Even if your findings are valid, nobody wants to hear it from the company that benefits from the information. I imagine most of this stems from clients who insist that a survey should be in complete alignment with its business goals. Here’s where PR firms need to convince them—a tall order in many cases, I’ll concede—that many reporters view such surveys as sales pitches with zero credibility and of little value for their readers. There are several credibility hurdles all surveys need to overcome if they’re to be taken seriously by reporters. Being too self-serving is a big one, but even surveys that aren’t will be quickly dismissed if reporters suspect the findings are based on leading or loaded questions. Biased surveys are often easy to detect, and if reporters have any suspicions, they’re going to ask to see the actual survey you fielded. 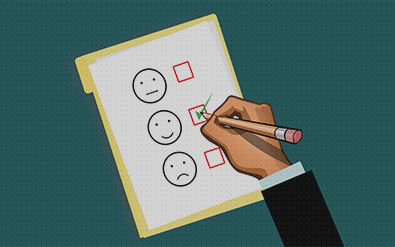 If they see your survey was structured to deliver desired results, you will have squashed not only the survey’s credibility but also your own. Next week: 10 Ways to Ensure Your PR and Marketing Surveys Fail Part 2! MSR Communications has developed scores of award-winning survey campaigns on behalf of clients that regularly land in the pages of the Wall Street Journal, USA Today, Business Insider and Wired, including the top tech, marketing and other trades. Check out our case studies here!